Barley Upma is a perfect healthy and a quick breakfast recipe. 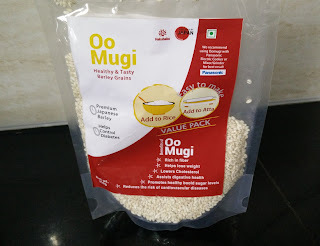 Plattershare gave me this wonderful ingredient "OoMugi Barley" from GoIndiaOrganic under "Belly Nirvana" programme. What a wonderful grain to work with!!! This premium Japanese barley has super taste and is enriched with loads of benefits. Barley is full of fibers, helps lowers cholesterol, helps loose weight, assists digestive health, promotes healthy blood sugar levels, reduces the risk of cardiovascular diseases..so forth and so on. 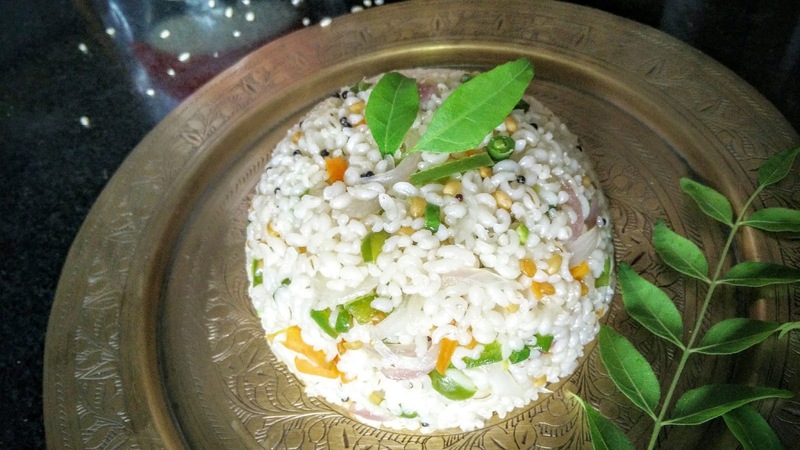 My family simply loved barley upma. Initially were little hesitant in eating (because of natural hitch to try something new) but when tasted it..loved the taste. So one must try using Barley in routine diet. 1. Soak barley grains in 1-2 cups of water for 1-2 hours. Pressure cook till 2 whistles. 2. In a pan, heat 1 tsp oil, splutter mustard seeds, roast split urad dal till it turns brown. 3. Saute onions along with all vegetables. Add salt as per the taste and cook for 5 min. 4. Add cooked barley grains and mix well. Cover the pan and cook for 5-6 mins. 5. Lastly squeeze lemon juice and serve hot. Garnish with curry leaves. Enjoy a healthy breakfast!! !